This little baby boy was born to travel. A newborn has been awarded a lifetime of free flights on Buraq Air after his mother gave birth during a trip from Tripoli in Libya to Niamey, the capital of Niger. 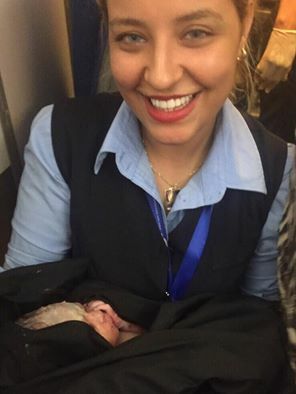 Buraq Air employee Amir Abu Sin told CNN the cabin crew helped deliver the tiny tot. As a thank you, the mother reportedly named her son Abdul Baset, after the plane's captain.